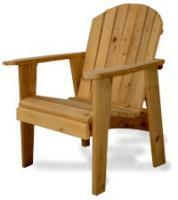 Click Image to Enlarge Our Adirondack Chairs and Adirondack Kid�s Furniture features a sculpted seat, and curved back slats for maximum comfort. 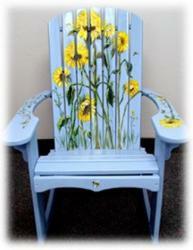 Each Adirondack Chair is handcrafted one piece at a time. Each piece guaranteed for a lifetime of quality and comfort. Our Adirondack furniture adds special elegance and inviting appeal to your lawn, garden, pool, patio or any other favorite outdoor setting. At last, outdoor furniture is as comfortable as your easy chair. 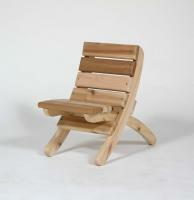 The most comfortable wooden chair you will ever sit in. We are confidant our Adirondack furniture will complement your favorite outdoor living area on the lawn, by the pool or on the patio. You can enjoy the reclined comfort of the Standard Adirondack Chair, the Oversized Adirondack Big Boy Chair, the Adirondack Loveseat, the traditional seat of the Garden Chair, or the taller vantage of the Folding Directors� Chair. 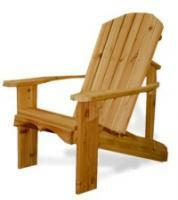 Remember the feeling of comfort and security in your grandmother�s swing or rocking chair on the front porch? 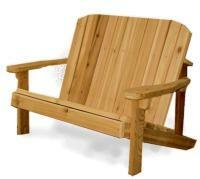 Our Adirondack Furniture includes the Garden Swing available in 4� or 5� length, the Garden 4� Glider Swing, and Adirondack Rocking Chairs available in Standard, Big Boy and Loveseat sizes. Click Image to Enlarge Don�t forget the kids� needs. 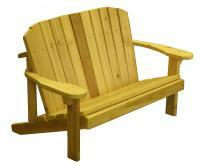 We have the Junior Adirondack Chairs, Buddy Benches, Junior Tables and the all time favorite; seesaws. 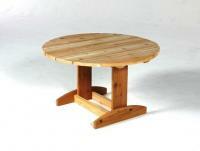 We offer volume discounts on orders for 10 or more pieces. 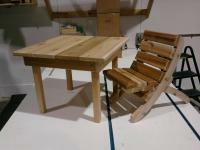 Your Adirondack Western Red Cedar Furniture will ship partially assembled. Easy to follow instructions, glue and all the hardware are included. Unique, versatile, and functional in the same piece.